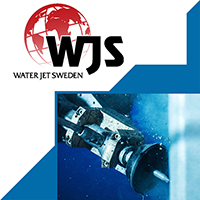 Waterjet machine cutting is a cold cutting process and therefore is also ideal for automotive, medical and aerospace applications where the material cannot be affected by heat. 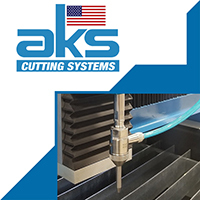 Nearly every type of cut is possible, from using waterjet tables for rapid hole drilling to detailed cuts for aerospace applications. 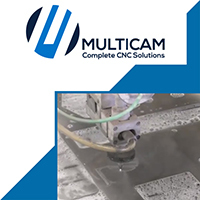 Waterjet cutter machines have the option to use an abrasive additive to create a clean, burr-free cut that does not require secondary finishing saving time and money. Jay Leno loves his new water jet cutting "toy" for cutting precision, one-of-a-kind, or no longer available, parts for his prized and extensive auto & cycle collection. 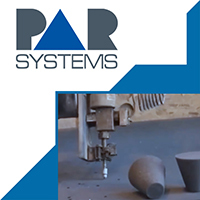 Cut most any material--composites, metal, rubber, plastic, foam, aluminum, foil, filters and much more! 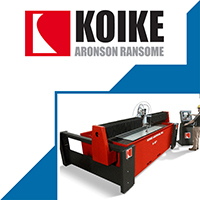 Waterjet cutters use an abrasive additive to create a clean, burr-free cut that does not require secondary finishing saving time and money. 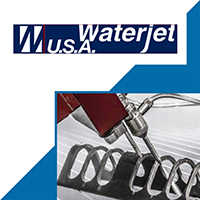 Waterjet machines are one of the most versatile cutting processes around and is well suited for high performance composite cutting, rubber cutting, aluminum cutting, and foam cutting.